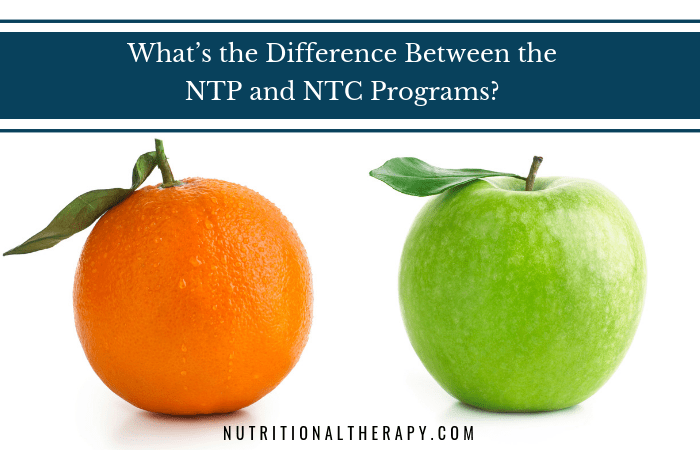 Home » Nutrition Articles » Frequently Asked Question: What’s the Difference Between the NTP and NTC Programs? One of the most common questions we get is, “What’s the difference between your NTP and NTC programs?” The answer? A lot! This blog post outlines the difference between the fully-online Nutritional Therapy Consultant Program and the hybrid online/in-person Nutritional Therapy Practitioner Program. The NTP and NTC programs share the same “core curriculum”. This core curriculum includes the lessons related to the NTA’s Foundations (hydration, digestion, blood sugar balance, minerals, and dietary fats, along with a nutrient-dense, properly-prepared, whole food diet) anatomy and physiology, and the client consultation process. Outside of this core curriculum, each program offers specialized modules that align with the vision and intended application for the different certification. Both NTPs and NTCs take a food-first approach, but an NTP will utilize specific supplementation in conjunction with the Functional Clinical Assessment (FCA) and Lingual-Neuro Testing (LNT) process to really hone in on imbalances and deficiencies in the body for clients who need deeper healing. In comparison, an NTC will use their culinary and lifestyle assessment skills to provide more practical, daily life action steps for clients who need more support in integrating the dietary recommendations. The two professions complement each other well as an NTC can refer clients to an NTP when their issues are not improving with dietary and lifestyle changes, and an NTP can refer clients to an NTC when they need more support with meal planning or batch cooking to find success with their recommendations. While the core education is the same, the specialized training does create two distinct professional certifications with different goals and purposes. 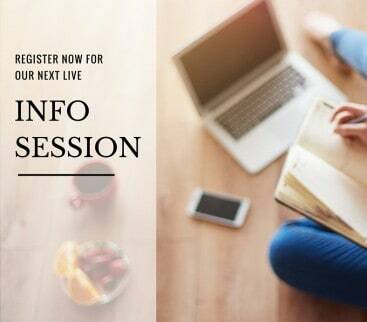 Join us for a Live Info Session Wednesday, April 24 at 5 PM PST. This is a great opportunity to get your program questions answered by two of the NTA’s Lead Instructors! This session will be delivered by Senior Lead Instructors, Cathy Eason, NTP and Caroline Barringer, NTP. Join us on this webinar for more information about the programs available at the NTA.